My husband and I were heading out for a walk late yesterday afternoon, when we found a wallet at a crosswalk. We had already pushed the button for the flashing lights, and traffic had stopped, so we quickly walked across the street. I said “Let’s see if there is any ID or a phone number inside so that we can contact the owner.” We checked the wallet, but there was no identification, and no business or credit cards. Just a few faded out receipts and some cash. We live in a neighborhood of mostly mature population, (in other words, older people). 😉 People are very active, with a pretty steady stream of bicyclists, walkers, and runners. You sometimes see people pushing a stroller, (and I don’t know what it is with this phenomena), but there can as likely be a dog in the stroller, as a child. I had never seen a dog stroller until we moved to Florida, but apparently it is a thing! I thought the whole point of taking your dog for a walk was to let your pet walk. I also see people “walking” two dogs, and frequently they will stop, pick up, and carry one of the dogs. I have a cat, so perhaps I just don’t “get” the dog life! But I digress. Since there were some larger bills in the wallet, it’s quite likely that the wallet belongs to a local in the neighborhood. I’ve noticed and heard my children and others of their generation comment that they don’t carry cash. They just use their debit card. Since most people use direct deposit, it is indeed easier to just use a debit card than it is to go to the bank, and withdraw cash. Which leads us to believe that the wallet belongs to an older person who prefers using cash. We tried to think of the best way to try and return the wallet to its owner. There is usually someone from the Sheriff’s Office up at the City Hall Building. I think they may have an office there? Since it was evening, City Hall was already closed for the night. Our neighborhood is on the NextDoor app, so my husband posted it on the app. Hopefully the owner makes contact soon, and if not, we will take it up to the police. I was thinking about it, and wondered how many people would try to return a wallet, and how many people would just pocket the cash and toss the wallet. I think that most people are basically honest and good, and would try to find the rightful owner. Maybe I am a Pollyanna and see the world through rose colored glasses? I am sure that there are many places in this country and the world where the cash would be quickly pocketed and spent without a second thought. But the wallet doesn’t belong to us, so we didn’t even consider keeping it. Is it just our faith that sets us apart? I know that faith calls us to be virtuous, to not lie, or cheat, or steal. God blesses us with a conscience, and hopefully our parents raise us in faith, to teach us to understand right from wrong, and kindness, thoughtfulness and charity. We live in the world, but don’t have to be of the world. People of faith are different. We are still subject to the temptations of the evil one, but with the grace of God, we choose to not fall into the temptation. We sometime fail, and sin. Thankfully, we have the sacrament of confession to rid of us our sins, and bring us back into grace. When we think about the fact that God loves us, and Jesus died for us, hopefully it is easier to choose love and goodness over temptation. What do you choose? 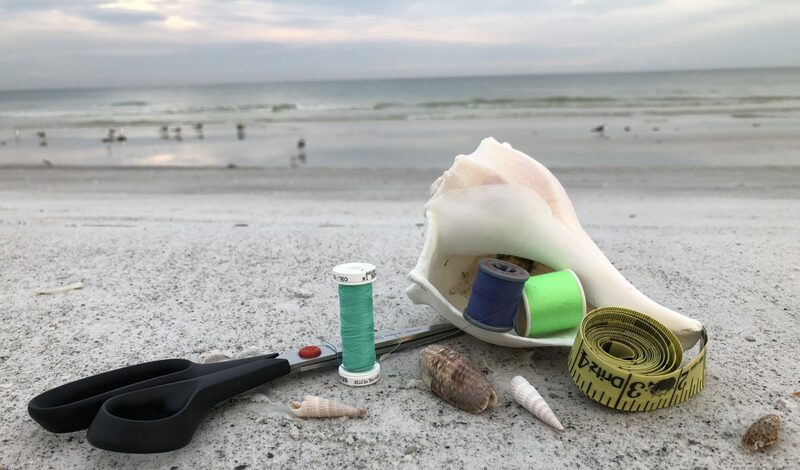 Author sewbeachlifePosted on March 30, 2019 Categories Beach Life, Life MusingsTags Catholic, faith, God, honesty, Jesus, sunsetLeave a comment on What Would You Do?